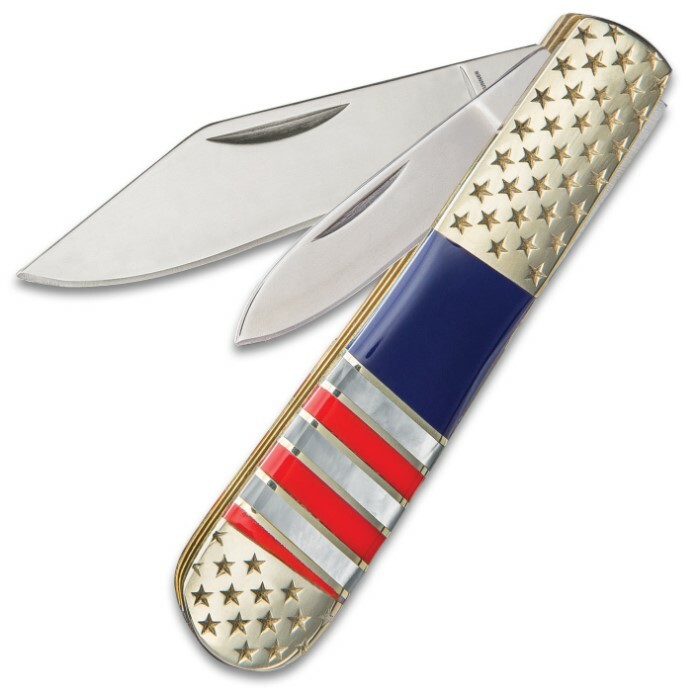 Ridge Runner American Flag Barlow Pocket Knife - 3Cr13 Stainless Steel Blade, Genuine Mother Of Pearl Handle, Nickel Silver Bolsters | BUDK.com - Knives & Swords At The Lowest Prices! 4 or more only $10.00 each! 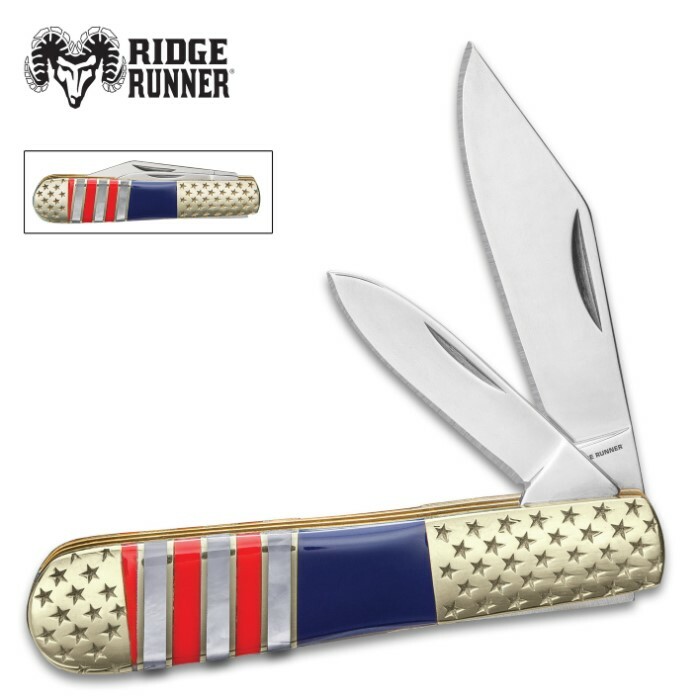 Our Ridge Runner American Flag Barlow Pocket Knife not only pays tribute to our American Pride but also makes a very capable everyday carry knife. The barlow has rust-resistant stainless steel pen and clip point blades that have been sharpened to a razor-sharp edge and each has a nail nick for easy access. 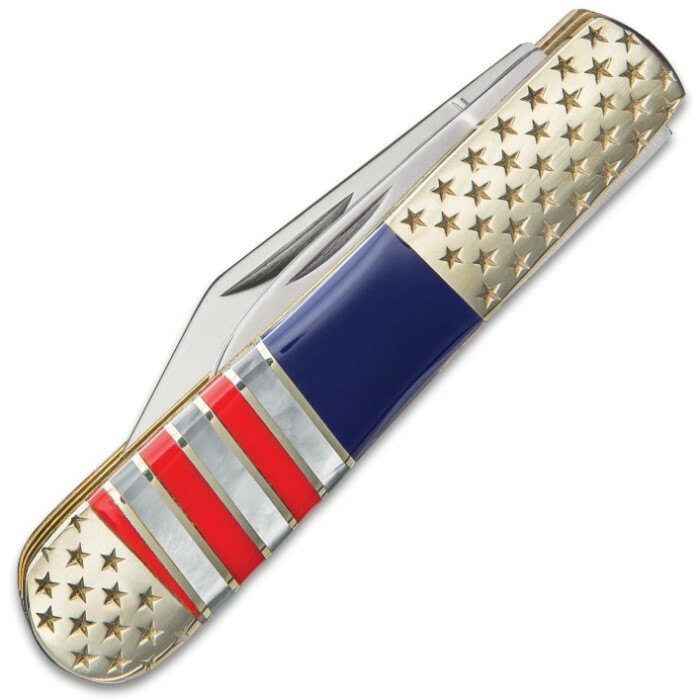 The US flag-themed handle is navy blue resin with red resin panels, genuine white mother of pearl panels and brass spacers and the nickel silver bolsters, which are engraved with stars, and the brass liners complete the overall patriotic look. 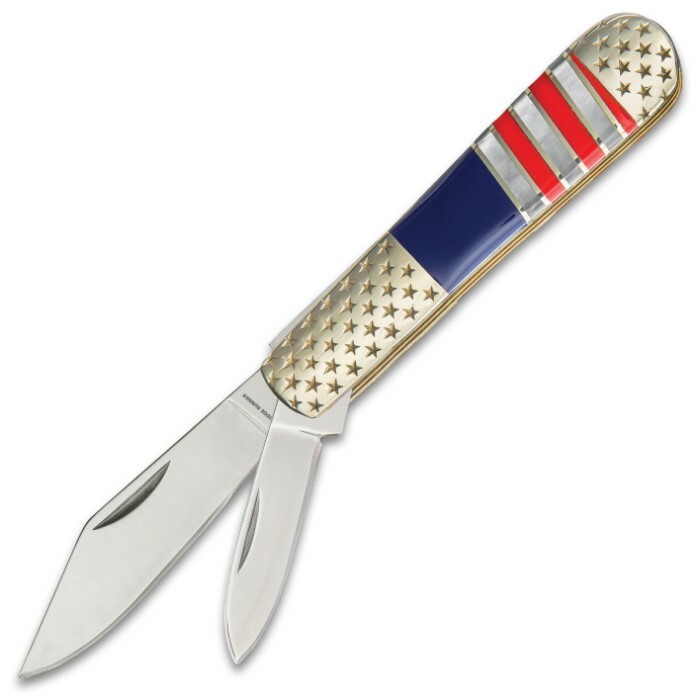 Make sure you snap up one of these attractive, heirloom-quality American Flag Barlow Pocket Knives before they’re all gone!